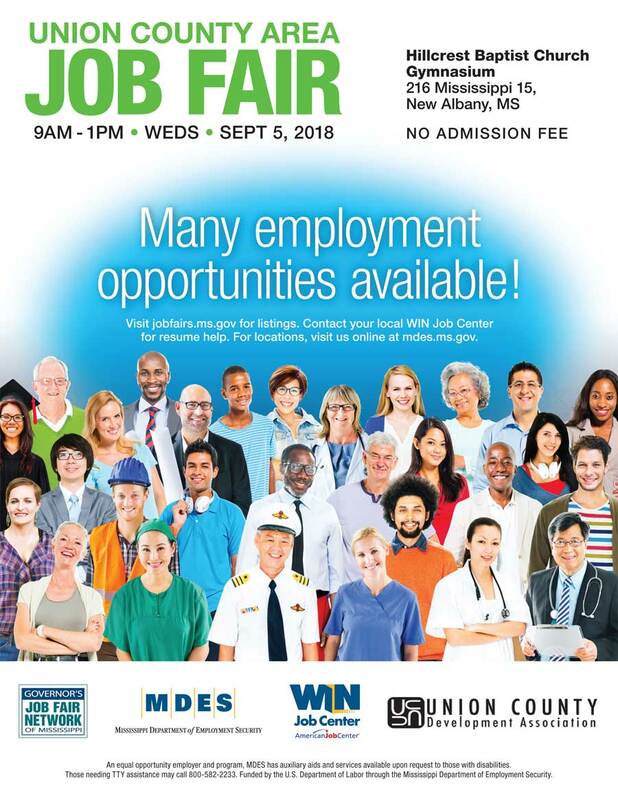 UCDA is sponsoring the Union County Area Job Fair on Wednesday, September 5, in the Hillcrest Baptist Church gymnasium. The fair is held in association with the Governor’s Job Fair Network and the Department of Employment Security. The fair will start at 9:00 am and end at 1:00 pm. Registration forms for companies interested in participating are still available in the UCDA office or on line at www.jobfairs.ms.gov. The weekend of September 25th-26th is a big one for New Albany, with the Tallahatchie Riverfest and an enlarged celebration of William Faulkner.